This was one employee communications initiative I worked on. The team wanted to send a monthly summary of press and analyst coverage to interested parties within the company. I created this Word document for the content, which was designed to be easily converted to an email for sending out. 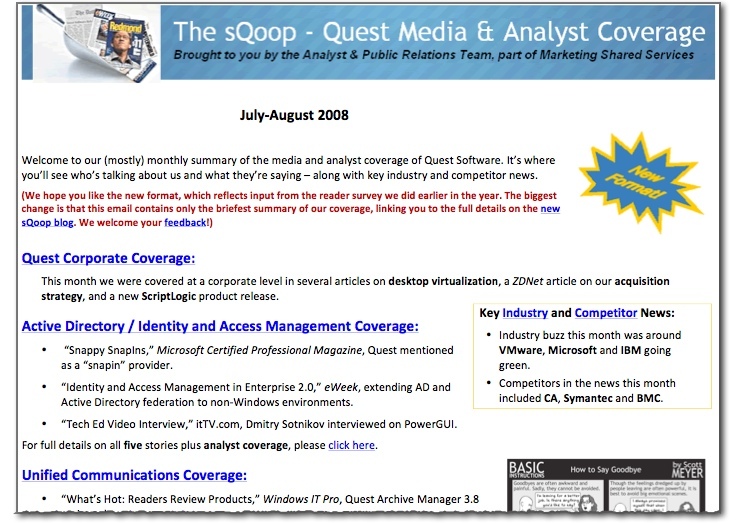 Content-wise, the strategy was to provide short summary items but include each item’s “full story” in an internal blog. This way we could keep everyone interested and also track views.